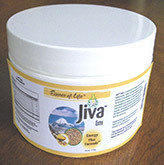 All JIVA products are vegetarian, wheat-free, and dairy-free. As featured on Dr. Oz! See the full video on YouTube! Enter your email address below to receive Special Discounts and FREE bonus articles! 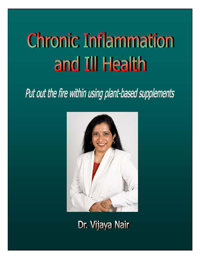 Dr. Nair's book "Chronic Inflammation and Ill Health"
Boosts energy and immune system, providing nutritional support. Support and maintain optimal bone, joint and cartilage health. Supports cardiovascular health including maintaining healthy cholesterol levels. Supports healthy eyes, retina, and visual acuity. Supports proper pH balance. Concentrate provides multi-electrolytes for energy and immune health. Support and maintain healthy brain function, libido and immune system. Support lung, liver and digestive functions. Maintains healthy energy and stamina levels.